This is the rock crusher. In Swahili in Tanzania, this crusher is known as calasher. It is a rudimentary ball mill made in Uganda. But we are in Uganda now, and this rock crusher has 33 rotations per minute and may crush about 100 kilograms per hour. Handling it and operation is dangerous. Injuries happen. And the crusher itself may run out of its stand, and start rotating on the mining site. And kill somebody. That happened already. But not on our mining site. 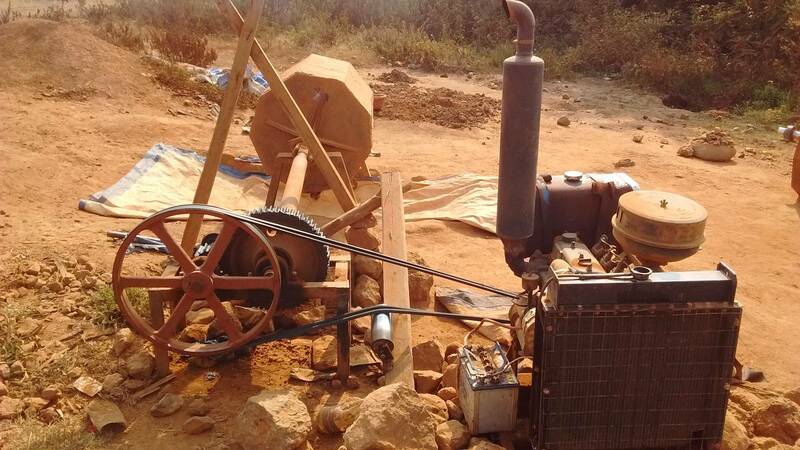 Thus crusher is used in Uganda on the location where we have the agreement to process tailings heaps for gold.